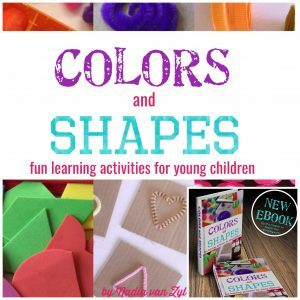 Do you have a little one at home, or teach young kids, who is eager to learn about colors and shapes? 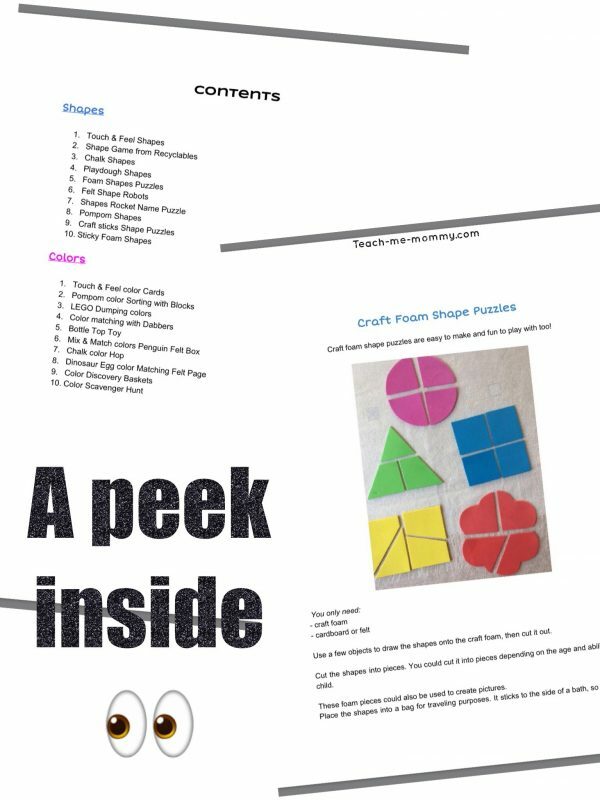 I have good news for you- I just launched my brand new Ebook called Colors and Shapes Ebook with 20 fun and frugal activities to learn just about that! Young children naturally want to learn about colors and shapes and do so while they play. You can use these twenty fun ideas to enhance their learning experience. Most of the materials used are frugal and you might already have these items. I did include a few templates too where you would need it for certain activities. The ideas are all hands-on to encourage children to use their senses to learn. These activities are perfect for toddlers, preschoolers, kindies and older children with the need to learn with a multi sensory approach. Launching offer: for ONE week ONLY, you can save $2! Only pay $5.99 from today, one week only!